Create stories people will love, experiment with a new form of media, and learn from an awesome group of mentors and peers. 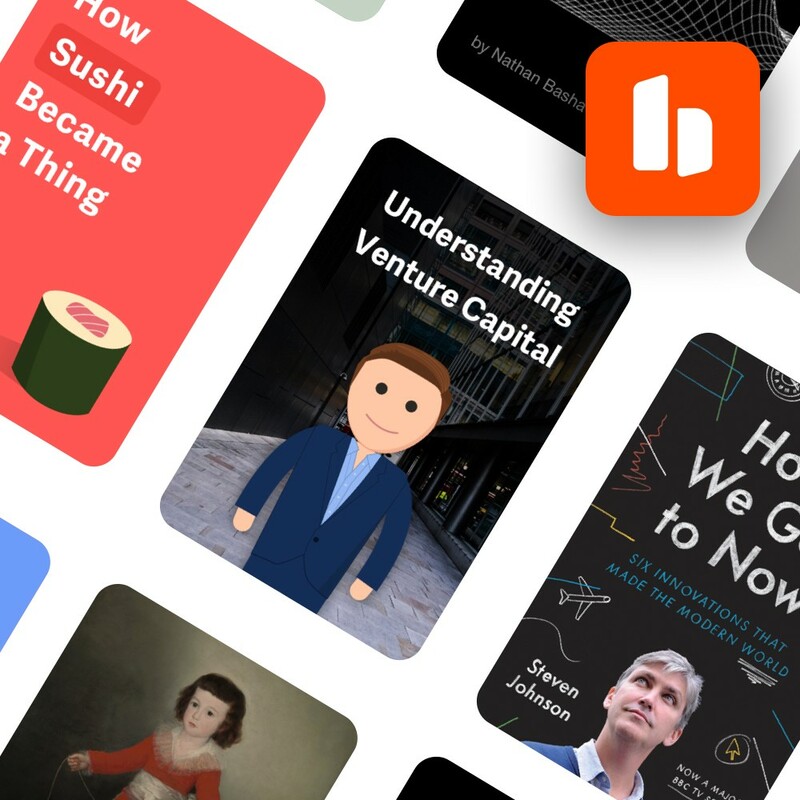 Hardbound is a new way to tell stories using visuals, animations, and words. Our mission is to make people feel amazing through stories. We’ve only been around for a couple months, but our stories have already attracted nearly 10,000 readers, and lots of praise. We’ve been featured in Product Hunt, Lowercase Alpha, and The Next Web. Today, we’re launching a new program for adventurous writers, who want to experiment with new forms of storytelling. Think of it like a cross between Y Combinator and a publisher. Unlike YC, you don’t need to work on this full-time and it only lasts a couple weeks, and unlike a publisher, we work collaboratively as a batch (using Slack, of course 😉). The deadline to apply for the first batch is May 1st. Once you’re accepted, you’ll have 4 weeks to create and launch a story with us (more on exactly how this will work below). In exchange, you’ll get $500, learn a ton from peers and mentors (Craig Mod has generously offered his time and talents! ), and reach a big audience with your work. What kind of stories fit best in Hardbound? The end goal is simply to make people feel amazing, so we’re flexible on how exactly you want to accomplish it. That being said, we’re developing an expertise (and audience) around a particular kind of story: edutainment. Yes, the word “edutainment” is a little cringe-worthy, but hear us out. We believe that most people love to learn — if you present it to them in the right way. It’s harder to do than posting a hot take or recapping some recent news event, but when you do it well, people love it, because it makes them smarter. What are some examples of edutainment? How x Became A Thing. How x Works. Where x Comes From. A Brief History of x. Why x Happens. At its core, edutainment is about giving your reader a deeper understanding of “basic” things. It works with any topic: sports, fashion, food, health, business, technology, etc. This kind of story isn’t just good for the world, we also believe it’s good for pageviews. The internet is flooded with content-farmed articles that nobody will remember next week, let alone next year. These stories overwhelmingly focus on what’s happening now. Our bet is that people want more highly-crafted stories that focus on the bigger picture. (Think of Hardbound stories as miniature books). How does one create a Hardbound story? Hardbound stories are visual. Think of it a mix between slideshows and comics. To get a feel for what that means, read this story about where emojis come from, and/or this story about venture capital. The two key skills are 1) writing and 2) graphic design / illustration. The Hardbound Writer’s Program basically works like this: if you come to us with #1, we’ll provide #2 for you. Here’s how the process works. 1) Do some research and outline the story, 2) create a storyboard in Keynote with rough placeholder visuals, 3) iterate and refine the story beats, 4) our designers help make it beautiful. When you’re creating the storyboard in Keynote, you’ll need to think about what visuals and animations should be on the page, and think in terms of story beats. This is different from writing an article, but a lot of fun. And we’ll help you with it and give you feedback every step of the way. Also, you’ll have a community of peers to share progress with and learn from. We’re shooting for each story to be roughly the same length as our emoji and venture capital stories (~50 slides; ~5 minute read time). Hi! I’m Nathan Bashaw. I used to work at General Assembly, where I created Dash (an interactive online book that has taught over 300k people how to code). Before that, I co-created Product Hunt, worked at Olark, studied Political Theory at Michigan State, and grew up in Arkansas. I’m the CEO of Hardbound, and I’ll be your editor / main point of contact. It’s my job to make sure that you (and your readers) come away from this feeling awesome. Our current story team is made up of Will Hoekenga (lead writer) and Matthew Montgomery-Taylor (story designer). The platform team, and my co-founder, is made up of Joe Nguyen (CTO). You own full rights to what you create, and can do whatever you want with it. All we ask is that you let us display your story on our app and website. Right now we’re not monetizing any content on Hardbound, but we reserve the right to do so in the future. To compensate you for your work, we’re offering a $500 flat rate: half paid upfront, half upon delivery of a completed keynote storyboard. If you have any questions, I’m n@hardbound.co.